This Wolverine Wednesday we’re going to have a fun quiz and not an easy one. Logan was a true romantic. By the time we were writing X-MEN:TAS episodes in the 1990s, he was in his 90s. He had seen much of the world and had suffered many broken hearts. 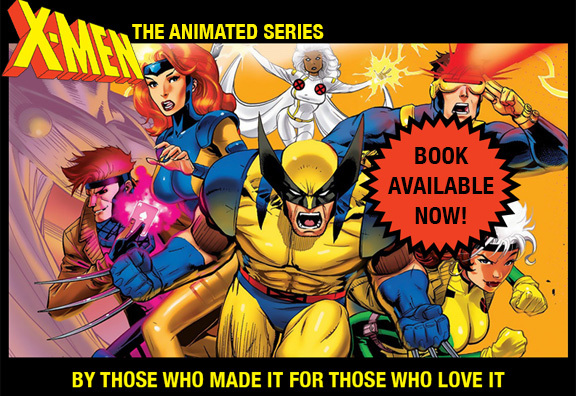 Having one of our X-MEN heroes encounter an old love was one of our favorite kinds of story. Xavier and Moira, Gambit and his Cajun near-bride, Rogue and the boy she couldn’t kiss. Wolverine had all sorts of old loves — a name carved into the wood of a Canadian cabin, a teen left to despair in a Japanese village. The question today is: Within our 76 episodes, which love-of-his-life did Logan actually marry? As a hint, we’ll print a close-up from the scene that shows proof of his commitment. The answer will come tomorrow.